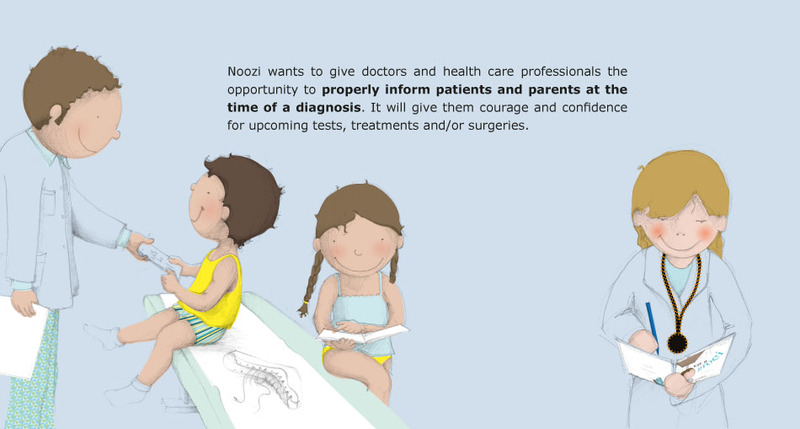 Noozi develops children's books for children from age 4, who need medical examinations, treatments or who need to stay at the hospital. 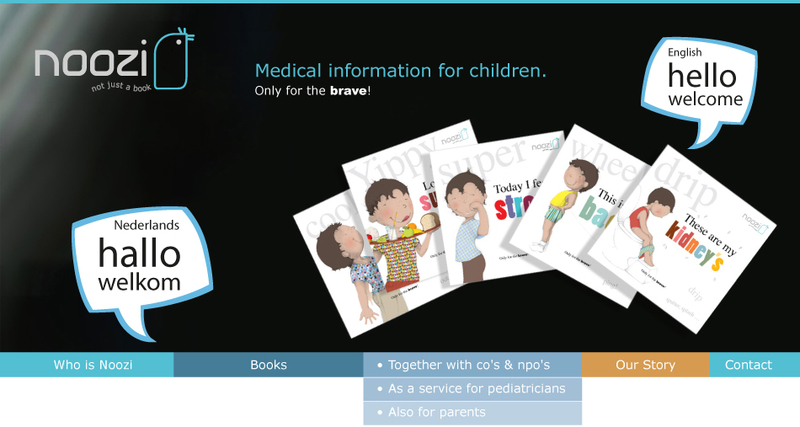 Noozi books are based upon accurate medical and scientifical information but written in a comprehensive way, as to inform and prepare these children. In the books a certain disease or condition is explained as clear as possible, in a way also very young kids can understand. These books also mention possible treatments and the impact a disease might have on someone’s life. No matter how hard reality sometimes can be, Noozi wants to emphasize on the positive, diminish the distance between doctor and patient, and take away fear for the unknown from children and their parents. "Prepare as many children with severe and chronic conditions as possible for hospital admissions, examinations and treatments,"
of the words : nosy & cosy. body, as clear as possible. At the end of 2010 I switched to a part time position so I could start up Noozi. Writing children’s books has always been my dream and since my son Robbie had a lot of health issues in his young life, I chose to write about a specific topic, namely medical children's books based on scientific information. Huh? What exactly is wrong with my child? There you are, moving from one examination room to another: a blood sample needs to be taken, a scan, an x-ray, ... and nervously waiting for the results, wondering if you should already inform your family. Until you are called in to hear that your child is seriously ill. You are upset, sad, you don’t understand everything the doctor says. A variety of medical terms are being cited but you don’t have any medical background. What exactly is wrong with my child? When your child has to deal with a serious diagnosis, as a parent you would like to know more, don’t you? We wish you lots of fun during reading but most of all we hope you get well very soon! Good luck! Whether children have arrived at the hospital by emergency, or have been in treatment for some time, correct and reliable information is so important. As a pediatrician you always hope for the best possible health care process but in some deseases this is a long-term path where medication compliance and follow-ups are very important. In these cases Noozi wants to play a supporting role and contribute to a positive bond between all those who are involved, in which the well-being of children comes first. 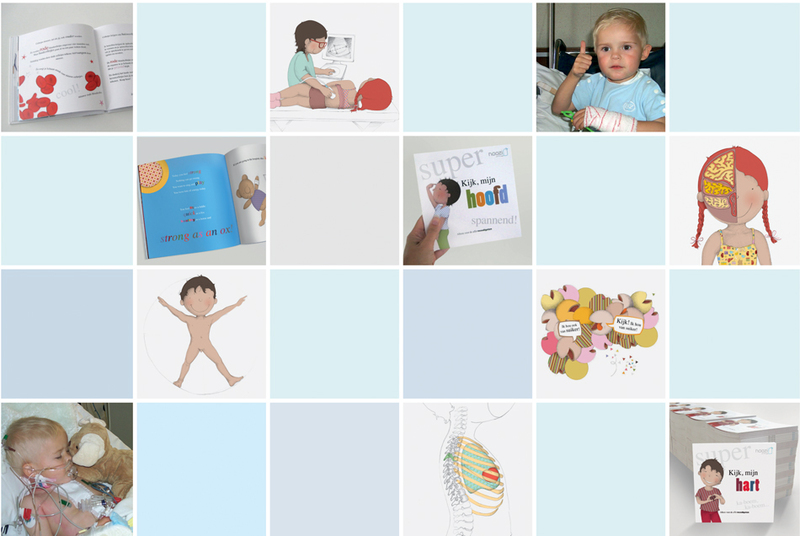 Companies or non-profit organizations who develop and offer products, technology or services to hospitals to support health care professionals and patients can purchase and distribute Noozi children's books. Prices depend on the number of copies and the number of languages. Request a free quote. coordinates the printing and ensures the delivery (one address). Thanks to these companies and non-profit organizations, we were already able to realize some nice Noozi projects! Here you will find all realizations.